Product prices and availability are accurate as of 2019-04-22 23:43:15 UTC and are subject to change. Any price and availability information displayed on http://www.amazon.com/ at the time of purchase will apply to the purchase of this product. Express your creative vision in more media smoothly and efficiently with groundbreaking new features and enhancements in Adobe Creative Suite 4 Master Collection software, such as the revolutionary Content-Aware Scaling in Adobe Photoshop CS4 Extended, rich interactive document export from Adobe InDesign CS4, dramatically simpler animation controls in Adobe Flash CS4 Professional, and support for next-generation tapeless workflows in Adobe Premiere Pro CS4 and Adobe OnLocation CS4. Leverage the familiar InDesign environment and your existing expertise to deliver design in more media. Just one example: Export an InDesign layout as XFL, open it in Flash, edit text and graphics, and then add interactive elements to produce a compelling dynamic document. Click to enlarge. 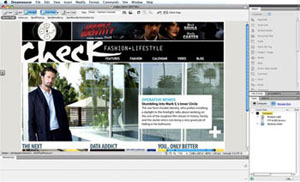 Drag a Photoshop image into a Dreamweaver page to create a dynamically linked Smart Object. If the source file changes, a badge shows that the Dreamweaver version is no longer current. To update the image, simply click the Update icon in the Properties panel. Click to enlarge. In Illustrator, create and arrange up to 100 artboards of differing sizes, and then save them in a single, multipage PDF file or export them as sequentially numbered files. Click to enlarge. 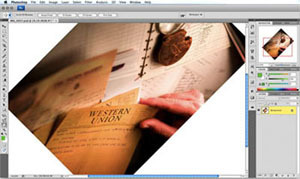 In Photoshop, rotate canvas and image together to any angle for convenient viewing and editing. Click to enlarge. 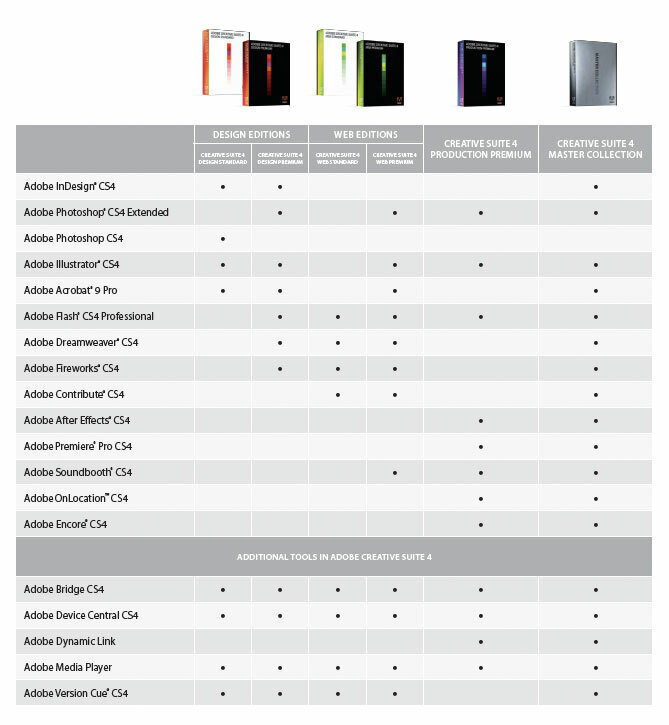 Licensed owners of Creative Suite 3 Master Collection can upgrade to Creative Suite 4 Master Collection or special pricing. Catch production errors on-the-fly with Live Preflight and manage placed files more efficiently with the newly customizable Links panel in Adobe InDesign CS4. Zoom in on images more smoothly and rapidly than ever, and rotate your canvas to any angle in Adobe Photoshop CS4 Extended. 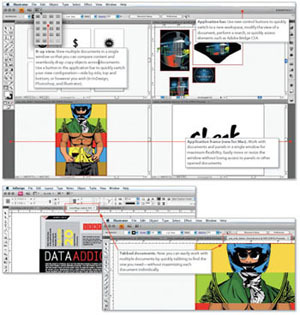 Combine multiple artboards in a single document in Adobe Illustrator CS4. And do more with dozens of other enhancements that help you deliver the design work you do today, faster. Use the indispensable tools in Photoshop Extended as a starting point in any medium: Apply the revolutionary new Content-Aware Scaling to automatically recompose an image as you resize it, smartly preserving vital areas of the image as it adapts to new dimensions. Paint, composite, and animate 3D models using familiar tools. Enhance video footage, even syncing visual effects to an audio track. Export a dynamic presentation or interactive brochure as a SWF file with interactive buttons, hyperlinks, and unique page transitions, such as curl, wipe, dissolve, and fade. 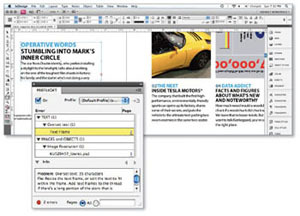 Or, combine the page layout strength of InDesign and the authoring power of Adobe Flash CS4 Professional to customize rich interactive documents. For example, export an InDesign layout as an XFL file and open it with full visual fidelity in Adobe Flash Player. Then add sophisticated interactivity, animation, and navigation in Flash to produce engaging online experiences. Simplify the creation and updating of animations with Flash CS4 Professional without losing creative flexibility. Apply tweens directly to objects instead of to keyframes with greater control over individual animation attributes. Use the new 3D translation and rotation tools to animate 2D objects on x, y, and z axes in 3D space. Create more natural animated interactions between linked objects or distort a single shape using the new Bones tool. Move content among Adobe After Effects CS4, Adobe Premiere Pro CS4, Soundbooth CS4, and Encore CS4 with unparalleled efficiency, so you have more time to craft your vision. Expanded Adobe Dynamic Link enables you to link content between components, so you can see updates without rendering. Shoot footage directly to disk from nonfile-based cameras with redesigned Adobe OnLocation CS4, which now runs natively on Windows and Intel based Mac OS systems. 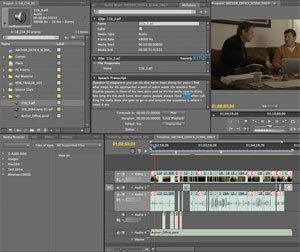 including AVCHD, P2, and XDCAM EX--without transcoding or rewrapping in Adobe Premiere Pro CS4. Capture valuable XMP metadata from your camera, and accumulate key information throughout the production process for intelligent media management. Use new Speech Search technology in Adobe Premiere Pro and Soundbooth to turn spoken dialog into metadata, making it easy to find particular clips and your video assets searchable online. In InDesign, sort by any column and easily scan the thumbnails in the enhanced Links panel to view detailed, customizable information about linked content. Click to enlarge. In InDesign, quickly create a compelling interactive document by using the new Page Transitions panel to add animated transitions such as Page Turn. Then export the document as a SWF file that anyone with Adobe Flash Player or a web browser that supports Flash can conveniently view. Click to enlarge. Creating a basic Flash animation is now a simple two-step process: Select an object and choose Create Motion Tween, and then drag the object. The resulting motion path can be easily edited using Bezier curves. Click to enlarge. 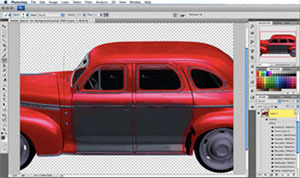 Paint directly on 3D objects in Photoshop Extended and view the results immediately. Click to enlarge. Quickly and reliably test mobile content in a variety of simulated lighting environments by controlling test settings for backlight, reflections, contrast, and more. Click to enlarge. Search for spoken dialog, make video clips searchable, and access rights management information and other types of project intelligence thanks to new support for XMP metadata across Production Premium. Click to enlarge. 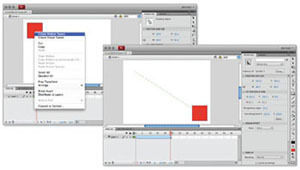 Amplify your impact in your video, film, and online interactive projects with Soundbooth CS4. Multitrack recording capabilities, a visual approach to professional audio editing, and tight integration with Adobe Premiere Pro, After Effects, Flash, and Encore, make Soundbooth a valuable addition to your creative work. Communicate effectively with clients, colleagues, and others using Adobe PDF files. Add video and audio created in Flash to PDF files for smooth playback in Adobe Acrobat 9 Pro and Adobe Reader 9 software. 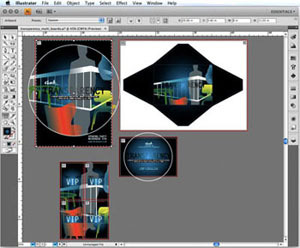 Quickly export interactive web prototypes from Adobe Fireworks CS4 to PDF for client review. Embed video into PDF files for clients to add timecode-specific comments, and then view those comments mapped to an Adobe Premiere Pro timeline. Package documents in dynamic PDF Portfolios with customizable interactive navigation. Create high-impact, personalized content and long documents tailored for unique audiences in less time and with fewer steps. Design with ease using customer-inspired enhancements to your everyday toolset and a more flexible layout environment. Create dynamic documents for playback in the Adobe Flash Player runtime as well as engaging PDF content that both include professional typography and top-quality page design. Take greater advantage of all that Adobe Photoshop Extended software offers with a more intuitive user interface and nondestructive editing freedom so you can achieve the highest quality results. Be more productive by taking advantage of smooth integration with other Adobe software and enhancements that leverage the power of today's faster graphics processors. Enjoy breakthrough enhancements that now let you paint directly on 3D objects and unleash the editing power of Photoshop software on 3D content. 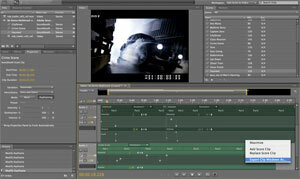 Plus, edit motion graphics for video with enhanced control for speed and precision. Extract quantitative information from images, count objects or image features, track and log your work, and volume-render DICOM files. Powerful additions such as the Blob Brush tool and transparency in gradients inspire new creativity. The highly anticipated multiple artboards feature prompts new ways of working. Existing features have been polished, and hidden functions have been uncovered to reveal usefulness and depth, enabling you to learn more quickly and take better advantage of the power of Illustrator. Illustrator CS4 offers improved interaction with options and tools, plus you can do more directly on the artboard. Innovations with Smart Guides and Isolation Mode plus new panel behaviors enable a smoother, more efficient workflow. Print delivery is more reliable with Separations Preview. And with new user interface similarity and shared formats among Adobe Creative Suite tools, work across applications is virtually seamless. Using Live Preflight in InDesign, you can open the Preflight panel to be alerted to errors as they occur rather than when the presses are just about to roll. Click to enlarge. Live View lets you see exactly how your pages will appear in a web browser directly from within Dreamweaver, so you can quickly tweak the code right then and there. Click to enlarge. To allow you to work smoothly and swiftly within components and to move effortlessly among them, Design Premium offers several elegant, cross-component interface enhancements, including N-up view, an application bar, an application frame, and tabbed documents, and task-based workspaces. Click to enlarge. Multitrack support lets you quickly assemble all your audio elements, and save them as an ASND file that can be shared with Adobe Flash CS4 Professional, Adobe Premiere Pro CS4, and Adobe After Effects CS4 software. Click to enlarge. Adobe Media Encoder lets you use any combination of sequences and clips as source files and encode to an extensive variety of formats. Click to enlarge. 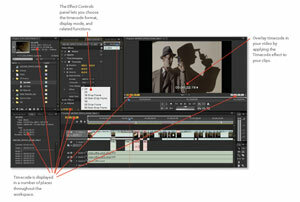 Navigating nested compositions in Adobe After Effects CS4 is made easier by the Composition navigator along the top of each Composition panel (right). A Mini Flowchart (below) reveals the nesting organization of related compositions Click to enlarge. The new Cartoon effect in Adobe After Effects CS4 allows you to convert live action footage (left) into stylized imagery (right). Click to enlarge. Easily organize content from a variety of sources--including documents, e-mail, images, spreadsheets, and web pages--in a single searchable PDF Portfolio, compressed for easy distribution. Use professionally designed templates that can be branded with your company logo and colors. Quickly integrate content, define navigation, and add polish to communicate clearly and effectively. Share information with anyone using free Adobe Reader software. Simplify the creation and completion of forms to efficiently analyze and use data. Convert Word and Excel documents or scanned paper to PDF forms with automatic recognition of fillable fields. Or use Adobe LiveCycle Designer ES software, a professional form design tool included with Acrobat 9 Pro software, to further customize and automate dynamic XML forms. Extend Acrobat functionality to Reader users so virtually anyone can participate in the workflows you initiate. Use the Form Tracker to see when forms have been completed and who has completed them. And easily export data to a spreadsheet for analysis and reporting. Accelerate the exchange of ideas with colleagues, extended teams, and customers. Through easy-to-manage electronic document reviews, participants can see and build on other reviewers' comments as they are being made, so you can quickly gain the input and consensus you need to efficiently develop and complete work. Enable virtually anyone using free Adobe Reader software to participate in reviews, and use the Form Tracker to monitor progress and participation. Control access to and use of PDF documents, assign digital rights, and maintain document integrity. Set document permissions to define whether a file can be printed or changed. Apply passwords to help restrict document access. Use redaction tools to permanently remove sensitive information. Digitally sign and certify documents to validate they came from a trusted source. Create and reuse document security policies to precisely manage who can print, save, copy, or modify a document. Quickly create and modify animations while retaining a great degree of control. Powerful new object-based animation, Bezier controls, and motion presets make working in Flash easier and more intuitive. Express your creative vision in innovative ways with exciting new design tools. Animate 2D objects through 3D space with 3D translation and rotation. Use the Bones tool to easily create chain-like effects or distort shapes. Add the expressive power of patterns to your designs with the Deco tool. Collaborate smoothly across designer and developer workflows. 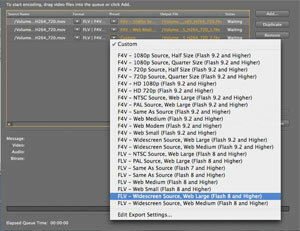 Easily import content into Flash from Adobe InDesign and After Effects software using the XFL format. 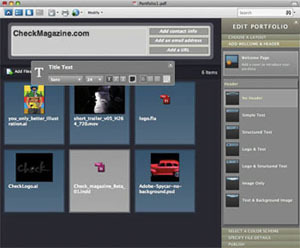 Enjoy common user interface elements and tools across the Adobe Creative Suite 4 family. Deliver interactive experiences that reach audiences across platforms and devices. The latest technologies, such as XMP for mobile and delivery to the Adobe AIR runtime, are right at your fingertips. Visually design with CSS best practices aided by jargon-free explanations of practical concepts. Create Ajax-driven interactivity while supporting best practices. 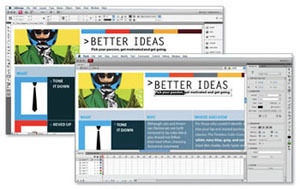 Design your pages in Dreamweaver so your clients can make updates to their web pages directly from the browser using the Adobe InContext Editing online service. Add dynamic data to your site without a database or complex coding. Rapidly prototype websites, application interfaces, and other interactive designs with Fireworks CS4 software. Create, edit, and optimize web graphics more accurately and quickly than ever before with an enhanced toolset. Demo your designs to clients live on the web or e-mail a PDF file generated from Fireworks. Integrate Live Styles and the improved Common Library for continual leaps in productivity. Work faster and smarter with the accelerated performance of Fireworks CS4. 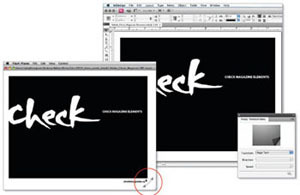 Leverage the uniform user interface and core functionality, such as consistent text handling, across Fireworks and other Adobe Creative Suite 4 components, including Adobe Photoshop CS4 and Adobe Illustrator CS4. Output your Fireworks designs to HTML, Adobe AIR, Flash, or Flex software. Craft custom skins for Flex components with the superior design tools of Fireworks. Design within Fireworks and, when you're ready, export web standards-compliant CSS to Adobe Dreamweaver CS4 software. 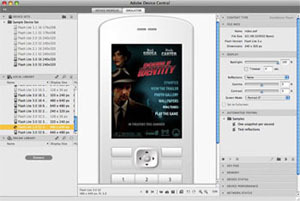 Create HTML-based Adobe AIR prototypes directly from within Fireworks to provide layout design and to display user interaction before developing your application. Save time on every project by dynamically linking content between select components of Adobe Creative Suite 4 Production Premium. With Adobe Dynamic Link, you can see and hear updates instantly--without rendering--as you refine your project's assets. Click to enlarge. 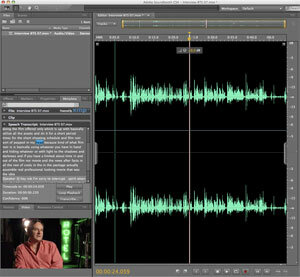 Use the powerful new Speech Search feature in both Adobe Premiere Pro CS4 and Soundbooth CS4 to automatically generate metadata that makes video searchable by linking the spoken word to timecode-specific text. Click to enlarge. The redesigned user interface puts all of the controls for Adobe OnLocation on a single screen, while the Shot List (inset) lets you input vital information, comments, and more. Click to enlarge. Robust timecode display options throughout Adobe Premiere Pro give you the ability to work with SMPTE or frame-count timecode. Click to enlarge. Delegate content publishing to content owners without compromising the integrity of your websites. Define and enforce custom publishing workflows to meet your organization's review and approval requirements for published content. Empower end users to quickly and easily publish content to static and dynamic websites through true WYSIWYG authoring. Give users the choice of editing websites directly from their favorite browsers or composing and publishing web content from within Microsoft Office applications. Enable easy collaboration between users in the content publishing process. Publish to the web in almost any computing environment thanks to compatibility with existing web and IT infrastructures and cross-platform interoperability. Contribute CS4 is affordable and works on Intel and PowerPC based Macs and on Microsoft Windows XP and Windows Vista systems. Enjoy creative control over virtually every element in a highly responsive 2D and 3D compositing and animation environment. With After Effects CS4, you can create virtually whatever you envision. 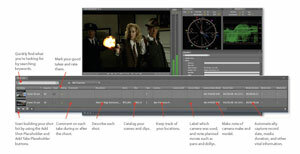 Easily handle a wide range of post-production tasks--from keying and motion tracking to color correction, rotoscoping, and more--using flexible tools in a user interface optimized to help save you time. Easily create output for delivery to a wide range of media formats and platforms--from traditional film and video to the web and mobile devices--from a single project. Work with the formats you want, from DV and HD to 4K and beyond. Support for industry standards enables you to interchange more easily with other industry-standard tools. Powerful new metadata management features help you deliver video content to virtually any screen. Edit faster with a broad selection of professional editing tools and tighter-than-ever integration with other Adobe software. Maintain pristine quality across the production process with an efficient tapeless workflow, find specific areas of your content faster with the innovative Speech Search feature, and stay focused on your work with background batch encoding. Maximize your creative options with powerful enhancements that help you bring new dimensions to your work. Achieve your vision with professional color correction, quick and precise multicam editing, and much more--all from within a familiar, customizable interface. Tap into a wealth of tutorials, stock footage, visual effects, and more to elevate your production quality, and connect to the creative community to share ideas. 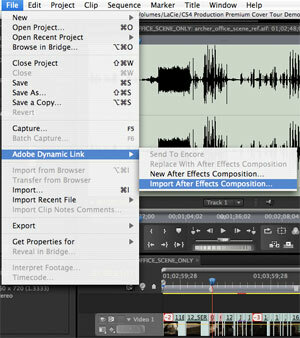 From acquisition to delivery, Adobe Premiere Pro CS4 offers tools that help you deliver excellent results. Take command of the audio in creative projects with task-based tools that help you create, clean up, and polish sound. Multitrack support and automatic volume matching give you more flexibility and control. Visually remove unwanted noises with the editing tools available in Spectral view. Personalize your soundtracks with the enhanced Soundbooth Score editing workflow. Download Soundbooth Scores from Resource Central, and use new multitrack support to customize, combine, or layer multiple scores. 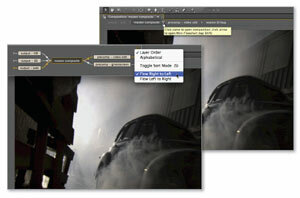 Add effects to adjust the mood, or stretch or shorten the file to alter duration. Tackle everyday audio editing and cleanup with the power of nondestructive editing in the new Adobe Sound Document (ASND) format. Quickly and easily heal sound, match volume levels, create sound effects, and choose from a library of high-quality audio filters and streamlined mastering tools. Eliminate the need for intermediate rendering and streamline the process of editing audio in Soundbooth while working in various Adobe Creative Suite components with features such as new nondestructive roundtrip editing and Adobe Dynamic Link. Adobe OnLocationCS4 is powerful cross-platform (Windows and Intel-based Macs), direct-to-disk recording and monitoring software that helps you shoot better and faster. The completely redesigned interface puts control of all functions on a single screen and features the familiar look and feel of other Adobe creative applications. Use the professional on-set monitoring tools to calibrate your camera, set levels, and monitor signals to obtain the best quality video and audio and avoid time-consuming and potentially costly problems. Shooting and capturing video directly to disk lets you record a two-hour event as a single clip or shoot as many takes of a scene as you need to get it right--no changing tapes, no solid-state memory time limits, no missed action. It's a director's dream come true--but when you're editing, finding that one perfect take among dozens of outtakes can be difficult. To make it easier, Adobe OnLocation CS4 offers a Shot List that enables you to re-record multiple takes of the same scene retaining the metadata automatically from the original master shot. When you edit the footage in Adobe Premiere Pro, you can search for a favorite take simply by searching for metadata logged while you originally recorded the footage. Or, run the speech-to-text feature in Adobe Premiere Pro, which uses new metadata support to find words spoken by the talent. Use Encore to create DVDs and high-definition Blu-ray Discs, and with one click, easily save projects you designed to be delivered to disc as interactive content compatible with Adobe Flash Player for the web. While on location, use Encore to output SWF file versions of your dailies to post online.